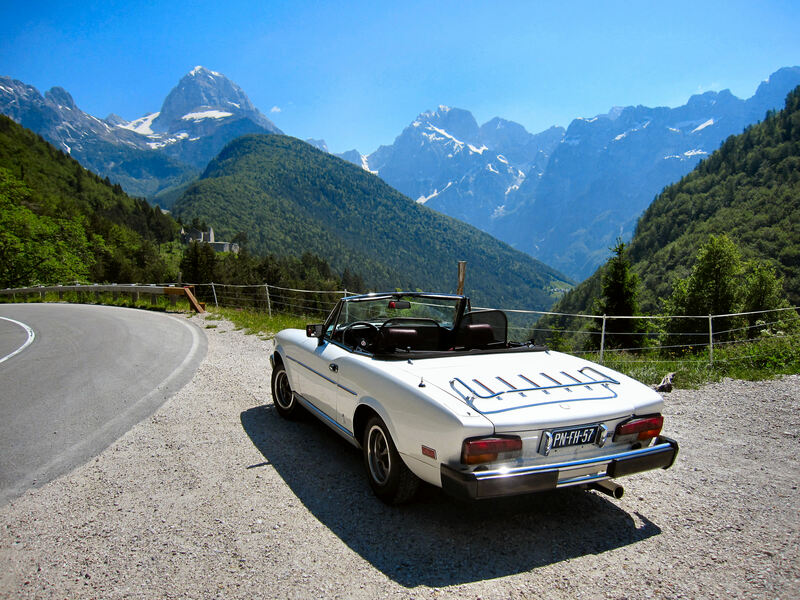 Both our Fiat 124 Spider as the famous cartoon serie La Linea originate from the Seventies from Italy. Osvaldo Cavandoli ( January 1, 1920 - March 3, 2007 ), also known by his pen name Cava, was an Italian cartoonist. His most famous work is his short cartoon series, LA LINEA (The Line). Cavandoli was born in Maderno sul Garda, Italy, but moved to Milan when he was two years old (later becoming an honorary citizen of that city). From 1936 to 1940 he worked as a technical designer for ALFA ROMEO. When he developed his interest in cartoons in 1943, he started working with Nino Pagot, who later created Calimero. In 1950 he started working independently as a director and a producer. He became famous for his La Linea, a simply drawn cartoon, first appearing in 1969. See and listen Sexi Linea | La Linea TV and Frog | La Linea Car or La Linea Girls to a few of his favourite La Linea cartoon movies.